When I think about a perfume that is familiar to me, I often have an image in mind of the kind of women it embodies. My tastes range pretty wide, and it makes sense; each fragrance in my collection speaks to a different aspect of my personality. Patchouli, vetiver, and other earthy scents unfold a vision of my mother: athletic, adventurous, and a little wild. Shalimar, my mother’s mother, who I’ve talked about often enough here. While her glory days are long past, Joan Killingstad remains a natural blonde with violently blue eyes. She never smoked, raised eight children without complaint, and is renown—in our family anyway—for her financial prowess. She was, and is, a Chanel No. 5 woman. 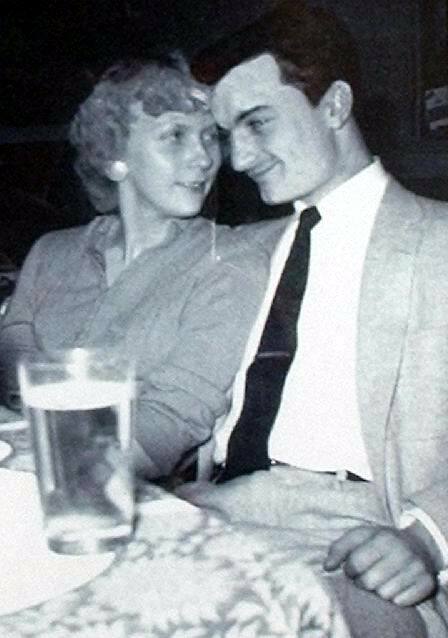 Above image is Joan Killingstad and Charles Nichols (grandpa) around 1956.